Wire Fox Terrier Wins Best In Show At Westminster : The Two-Way It was the 14th time a wire fox terrier won best in show, more than any other breed since the Westminster show began in 1877. 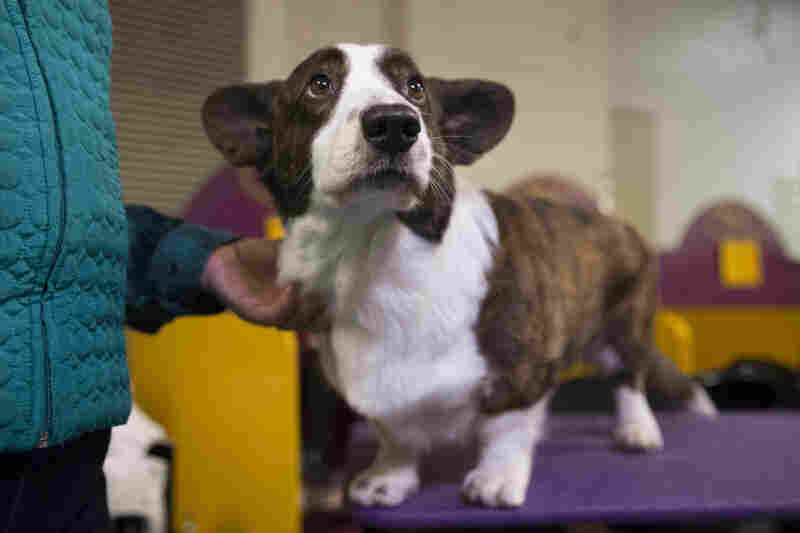 Coco, a Cardigan Welsh corgi, stands on a grooming table in the benching area before the Westminster Kennel Club dog show. 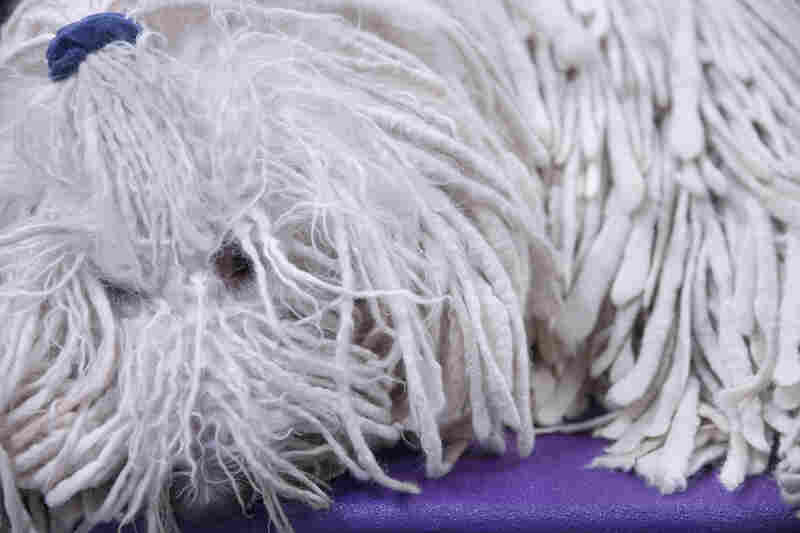 A cocker spaniel is primped and waiting to compete. A miniature poodles stands proud on the show floor. 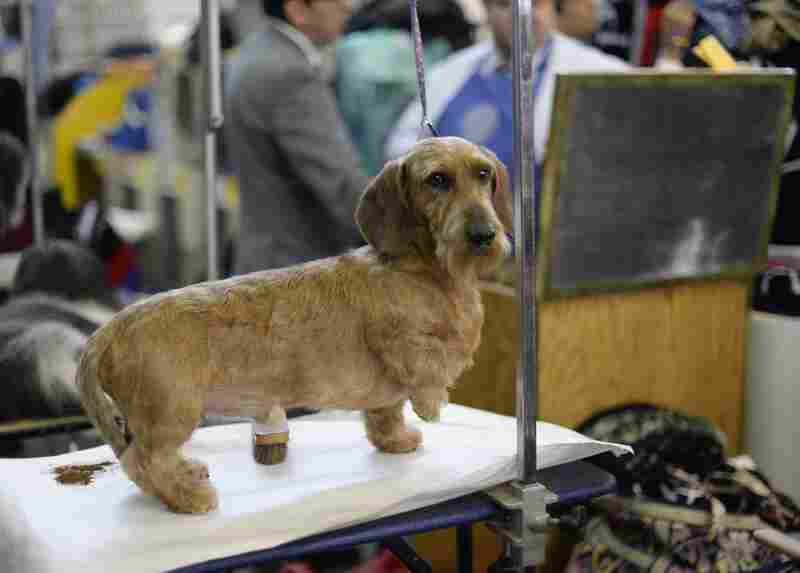 A Long haired dachshund looks poised and ready in the benching area. Chauncey, a komondor, chills in the benching area before the show. 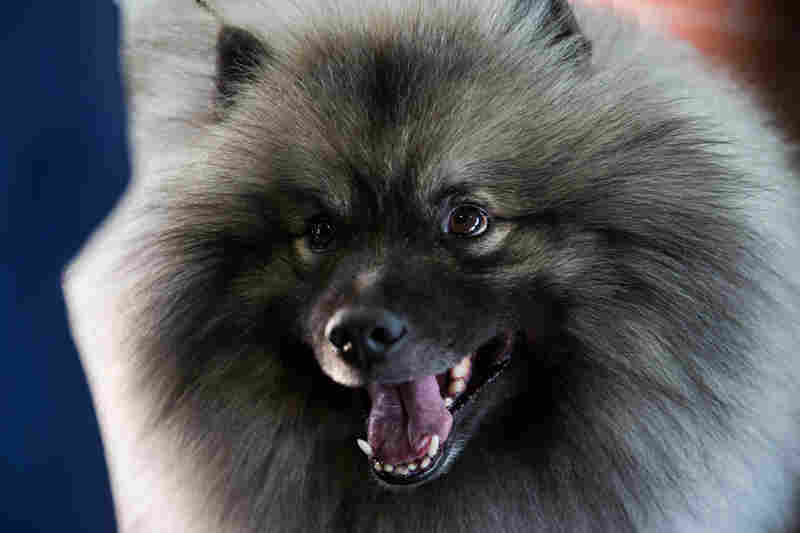 A keeshond smiles for the camera before the competition. 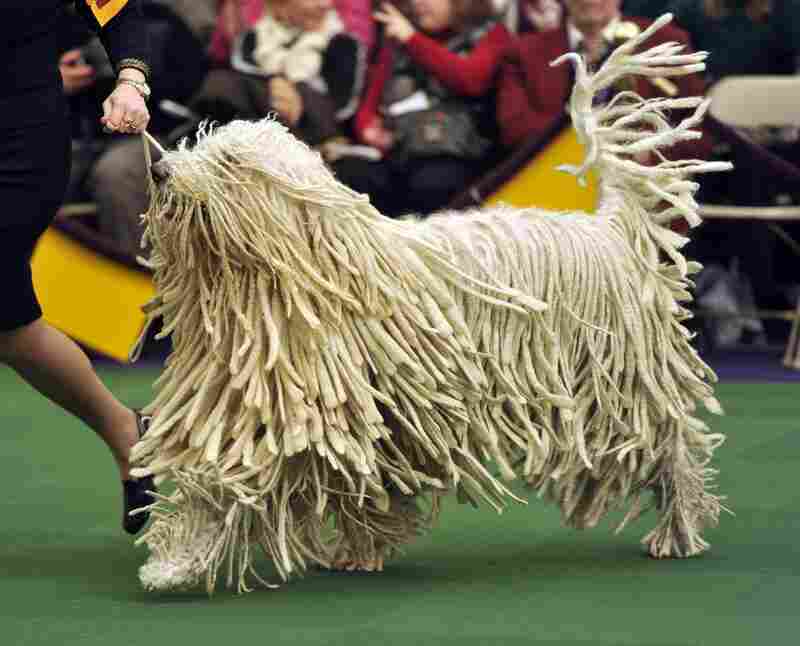 A komondor with the breed's distinctive matted coat runs in the judging ring. 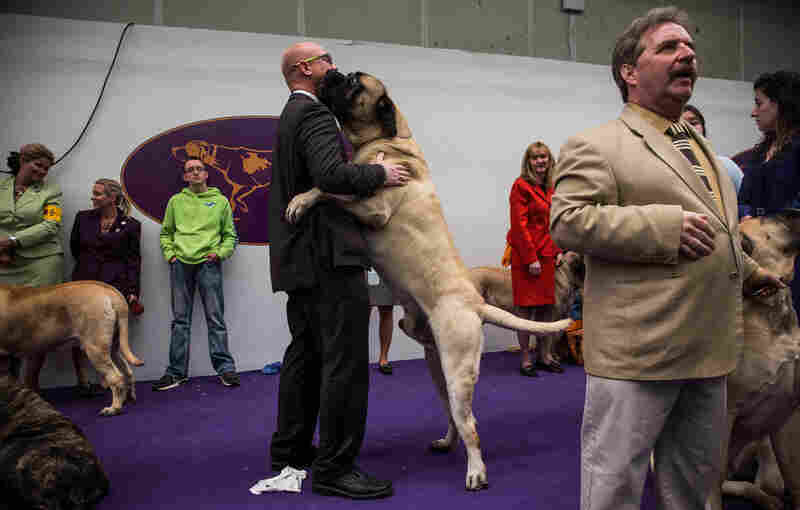 A mastiff gives his handler a bear hug. 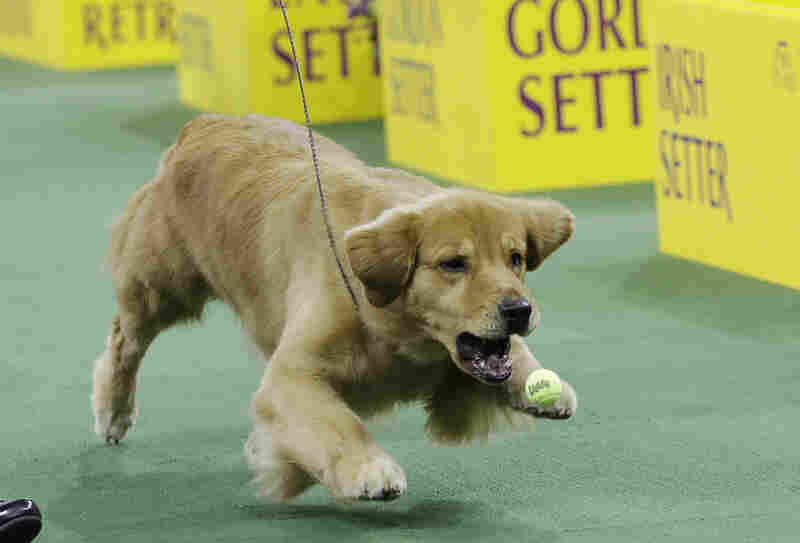 A golden retriever plays with a ball during the competition. A wire fox terrier named Sky has become America's new top dog. 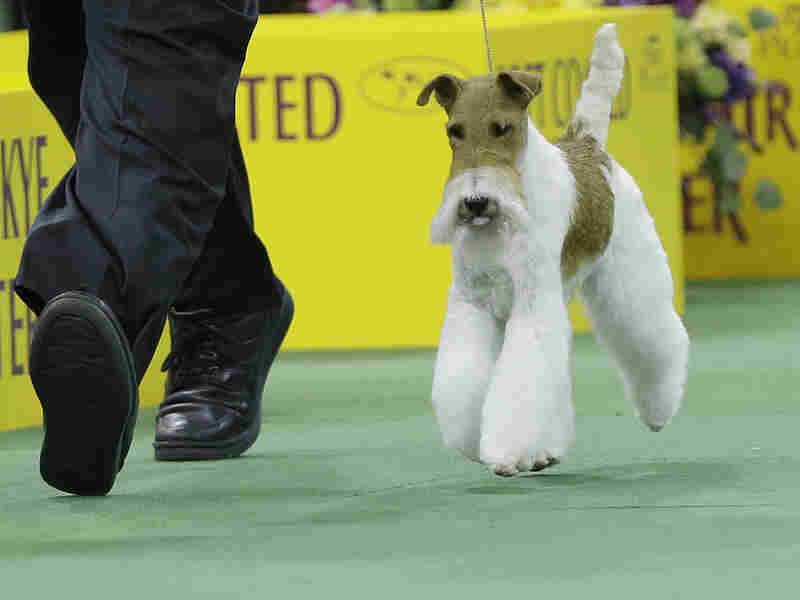 Sky, a wire fox terrier, is shown here competing in the terrier group before winning best in show at the Westminster Kennel Club dog show Tuesday. 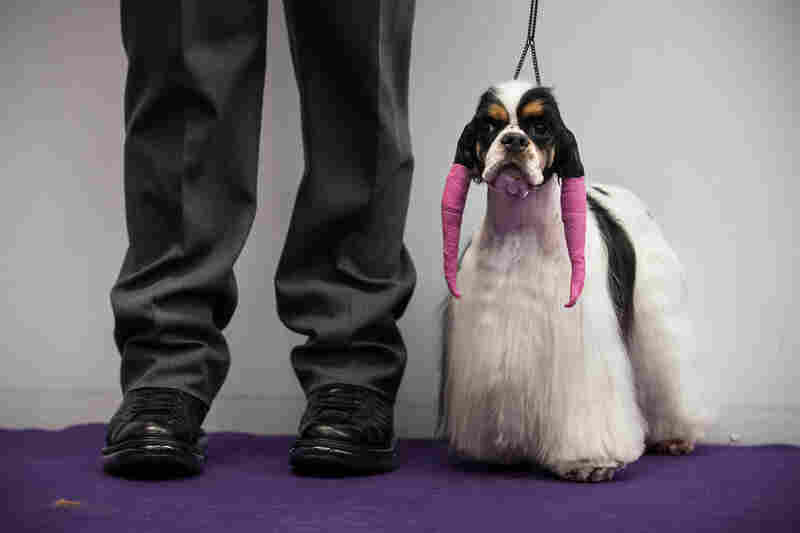 Sky won best in show at the 138th Westminster Kennel Club Dog Show on Tuesday, beating out dogs in six other groups, including a standard poodle, Portuguese water dog, bloodhound, Irish water spaniel, Cardigan Welsh corgi and a miniature pinscher. It was the 14th time a wire fox terrier won best in show, more than any other breed since the Westminster show began in 1877. 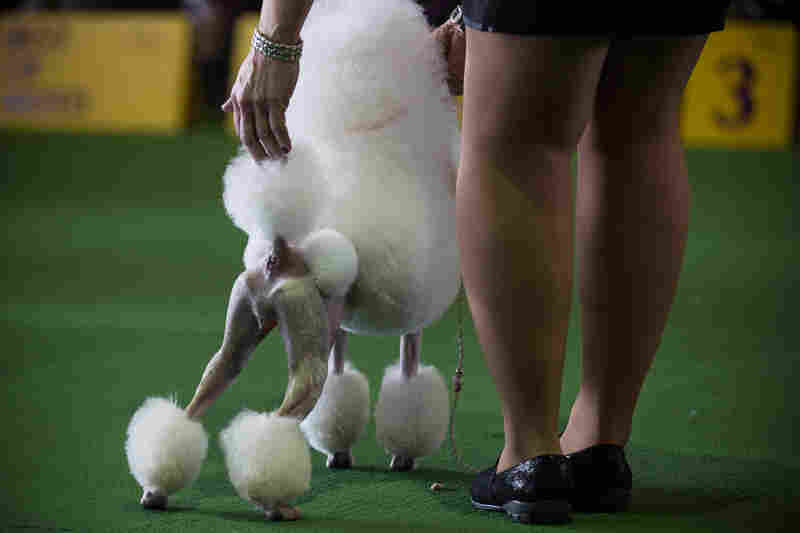 The standard poodle, Ally, was picked as runner-up, the AP reported. Sky, who is 5, has won 128 best in show titles in her life as a show dog. Gabriel Rangel, her handler, told the New York Times that Sky "didn't make any mistakes. ... When she shows off her balance, she's so pretty." This year's Westminster was the first ever to allow mixed-breed dogs to compete, but only in the agility contest held Saturday. Kelso, a border collie, soared over hurdles and zipped through hoops to take top honors in that contest, which was far livelier than Tuesday's traditional pageant.